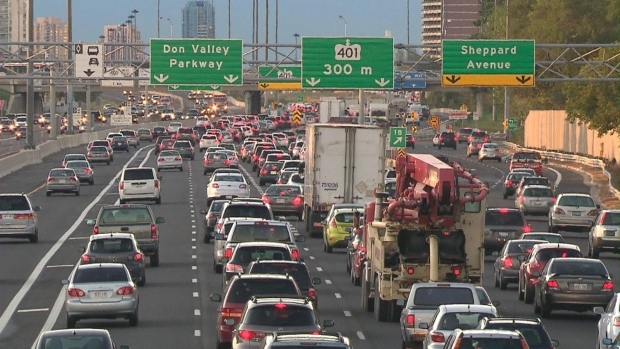 According to Statistics Canada, transportation costs consume 20.5% of the average Canadian’s household budget. In 2013, that amounted to $12,041 in transportation per year, of an average after-tax budget of $58,592. Only the cost of housing took up a larger portion. According to the US Bureau of Labor Statistics, a 2009 study compared the household expenditures between the US, UK, Canada, and Japan and concluded that Canadians spent the largest portion of their income on transportation. Transportation, however, includes cars, trucks, public transit, flying, and every other way to get around. Nevertheless, Canadians still spend an average 8.6%, or $5038, of their budgets on automobiles specifically each year, compared to the US, which spent the 2nd most at 6.1%. This includes buying/leasing a car, gas, maintenance, parking, insurance, etc. And though Canada has a higher tax on gas than the US, it is lower than what people in Japan or the UK pay. After shelter, vehicles are likely to be the 2nd biggest expenditure in your life. At $5000 per year, over a period of 50 years, you’re looking at $250,000 for a lifetime of driving. For a lot of Canadians, there simply is no option other than owning your own car or truck. Most smaller communities have very limited public transit options. Many jobs, schedules, and circumstantial realities make getting by without your own wheels impossible. And the harsh winter that we experience makes walking and cycling difficult (if not impossible) for half the year. Incidentally, our harsh winter also puts the percentage Canadians spend on clothing highest between Canada, UK, USA, and Japan. There are many instances where cars in Canada are simply the only option for getting around. But, Canada is an urban country, more than 13 million of us live in its 5 biggest cities. Large Canadian cities usually have good alternative transportation options, including public transit and bike lanes. Myself, I live in Toronto. I pay $140 per month for my public transit pass, and an average of $100 per month on Zipcar (which lets me rent a car by the hour). So $250 per month for 12 months equals $2500 I spent per year in ground transportation. 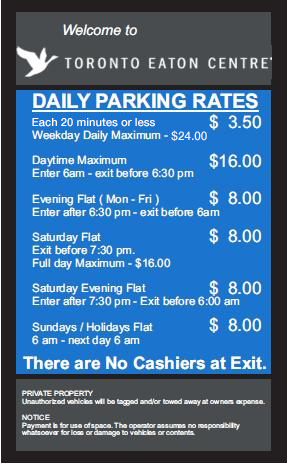 Compare that to the parking at the building I work at, which charges $16 for a full day of parking. 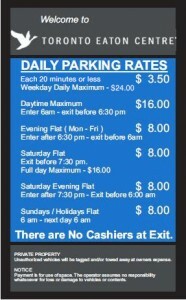 $16 for 22 work days equals $352 per month only in parking. The biggest problem with cars is that they don’t appreciate in value, your typical car is always a horrible financial investment. Cars are famous for depreciating in value the second you roll them out of the dealership. If you drove your brand new car 1 km home and tried to sell it, you would not be able to sell it for the same price you just paid. $250,000 per lifetime on a car is only the average. You really start to burn money when you pay for premium automobiles. This could be why driving a luxury car, like an Audi, Benz, or BMW, is such a status symbol. It tells the world that you have money to spend. Your average luxury car might cost 100% more than something more modest. But BMWs don’t have 100% better gas mileage, or last 100% longer, or go 100% faster. In fact, they don’t do anything 100% better than a typical car, so why spend the extra money? This isn’t news. Perhaps it’s the crippling student debt and less job security that a lot of them face, but millennials are famously not interested in driving. In the US in 2010, only 60% of 18 year olds had a drivers license, compared to 80% in 1983. There seems to be a cultural shift away from driving happening. I haven’t even mentioned other negative effects of driving, such as pollution or spending hours a day commuting. Combine changing attitudes towards automobiles with self-driving car technology and the emergence of the sharing economy and we are on the cusp of a revolution in transportation. If my hunch is right, getting around is going to get easier and less expensive. Have a bit of money and want to invest it in something? Unable to buy a house and feel like you’re going to miss out? Read on friends and discover all the ways you can invest your money and time to build a new source of income!